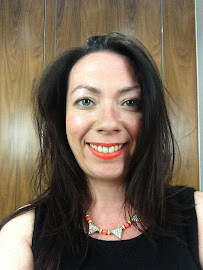 Without wanting to sound like a broken record December came with it's own set of challenges and as such I wanted to keep my skincare regime simple but effective. As luck would have it I received a package from Eloquence Beauty containing everything I needed - even including numbered products so it really took the thinking out of what I needed to do. 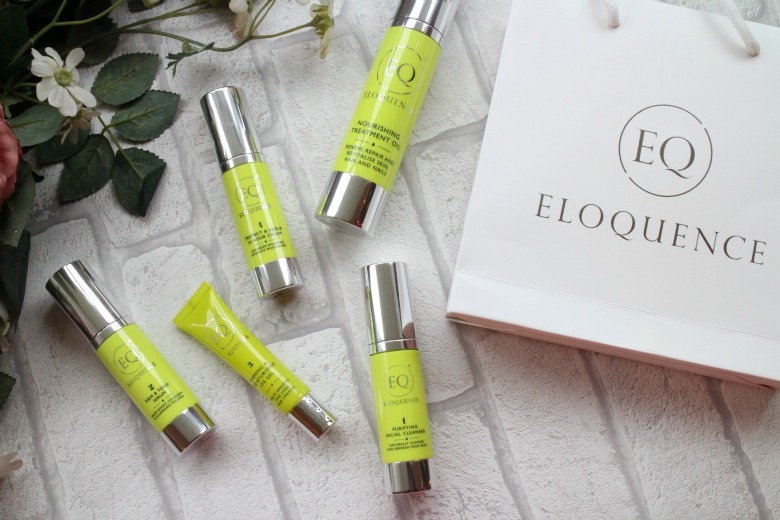 Eloquence Beauty is a premium and natural skincare brand focussing on great ingredients to tackle anti-ageing, skin hydration and skin health. All housed in luxurious, yet bright packaging this is a compact range which I immediately thought would be ideal for travelling, not least because of their 20ml size. Sacha Inchi Oil, an exotic seed from Peru is used across all of Eloquence Beauty's products and is known to restore skins elasticity, combat dehydration, fight premature ageing and nourish and protect the skin from environmental stresses. Exactly what I was looking for, and ageing a lot of qualities that would suit those on the go. The first step in the core skincare collection is the Purifying Facial Cleanser* containing the aforementioned Sacha Inchi Oil, Coconut Extract and soothing cucumber. Sulphate free you apply the cleanser to damp skin, massage and rinse off and might I add the first thing you'll notice is the pearlised appearance of this cleanser which makes for an indulgent luxurious touch. Despite wanting to keep things simple I do prefer to be a little more active with my evening cleanse using balms and oils to ensure all the dirt and grime from the day is removed but this is a lovely morning cleanser. Of course some evenings I didn't want what could feel a long and this cleanser would perform perfectly well. Without repeating myself this would serve very well for travel when you don't want to be carrying numerous day and nighttime options. Next up is Step two is the Firm and Tone Serum*. A couple of pumps as per your skins requirements this creamy formula will be absorbed your skin quickly and is light enough to use by day and won't interfere with your make up. Also containing our favourite skin plumping ingredient hyaluronic acid make it the perfect wake up call. The Firming and Moisturising Eye Gel* is next for step three. Unlike the previous products in their pump bottles your eye gel is found in a tube and I must say you need to be very reserved with squeezing product out as it's most definitely a liquid gel and does dispense with some speed and enthusiasm. More hyaluronic acid is found to help plump your fine lines and I think it would be perfect kept in the fridge come hayfever season. I liked this product so much that it was my eye product of choice I took with me to Florida and diligently applied on the plane to keep things hydrated. Your final step is Protect and Repair 24 hour cream* which is suitable for day or night although I again I prefer for day time use as I prefer something a little richer of an evening. That's where the Nourishing Treatment Oil* comes in. Mix this in with your moisturiser or use alone and you have something a little richer. The Nourishing Treatment Oil is one of those favoured multi use products which you can use and slot in to your pamper regimes as you wish. With your moisturiser as mentioned above, alone as a face oil or add to cuticles or hair for some extra nourishment. Even better this comes in a larger 50ml size. In conclusion my experience with Eloquence Beauty has been a positive one. At a time when my skin needed some extra care but the motivation to treat it to long lazy rituals this compact skincare regime worked a treat. I would recommend this to those looking to move forward with their skincare regime past adolescent wipes or facial washes and wanting an introduction to serums, oils and eye creams. Eloquence Beauty have put together these core products into a luxury kit which you can buy for £75 here which would make the perfect skincare travel set when you want to keep things pared back but not let your standards slip.